This book combines the information learned in book one and three with more advanced material. As you will see, we will be dealing with a variety of issues relating to the higher level of snare drumming. The approach should afford the student a comprehensible (but doable) methodology that will provide meaningful results in the shortest time. Remember, it is possible (and recommended) to work on portions of one lesson, while continuing (or beginning) work in another lesson. In fact, once the student reaches about halfway into this book, work on the first lessons of book six is advisable. While there is a general order in the way that lesson elements are handled, there is a certain amount of flexibility in the way that an individual can accomplish the material. practice. (Even though the snare solos are meant as training studies, it is not uncommon to use some of the more appropriate solos in the recital environment.) 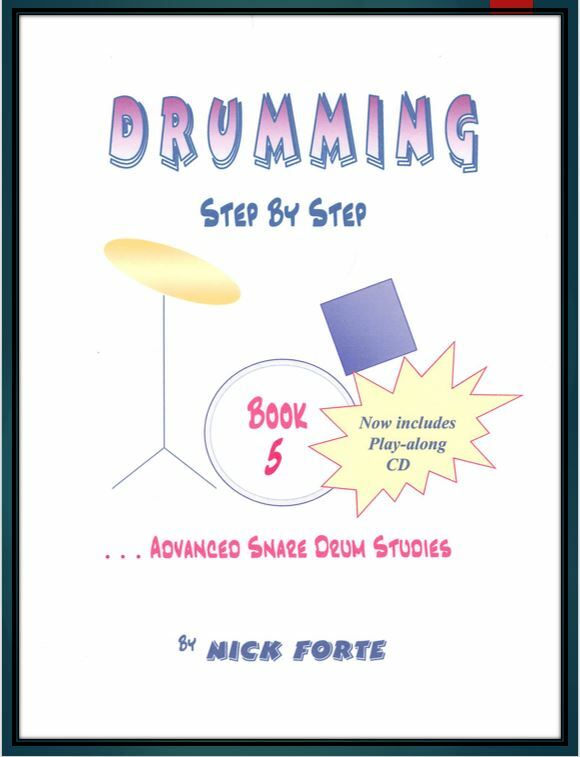 Once you have completed the work in this book, you, will feel at ease with most of the snare drum reading found in better college and/or semi-pro ensembles. Of course. your success depend a great deal on how well you assimilate the studies in actual playing situations. In short, you must be able to use what you have Learned!